Exhibiting artists' books has challenges. Probably the biggest decision is whether to allow them to be handled or have please do not touch signs in the gallery (alas, what I do for the Spirit Books). 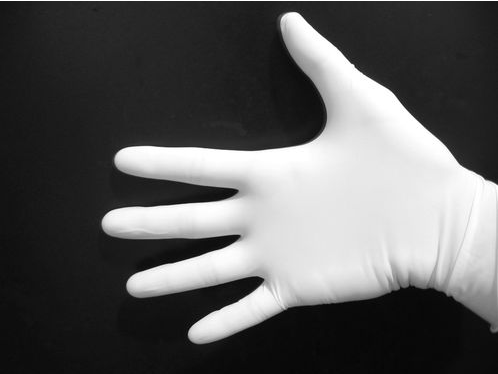 If they can be handled, the question is then: should viewers wear white gloves or not? The argument for is that it protects the books from the oils in our hands. Against is that we are more awkward with gloves and put the books at greater risk. The British Library has weighed in and they say "no gloves. "You can read their thoughts here. There's a bit of controversy about this in the quilt world too. I took some appraisal and dating courses where we learned all the reasons for donning white gloves when handling quilts of any age but especially antique ones.As your linked article notes gloves are very awkward to use while handling what you are trying to inspect & I too wondered about transferring things from the gloves. We were taking notes with pencil on forms with those gloved hands, and inveritably I'd catch myself touching my nose or chin transferring makeup onto the glove. A few years after I took those courses I read that some textile experts had changed their minds about wearing gloves, noting that the cotton fabric could cause a friction especially damaging to fragile old textiles that the bare hand would not. They too felt well washed hands were the safest for handling old quilts. Perhaps the best solution for display is what the quilt shows do - having people on hand to do the turning for the viewing public.